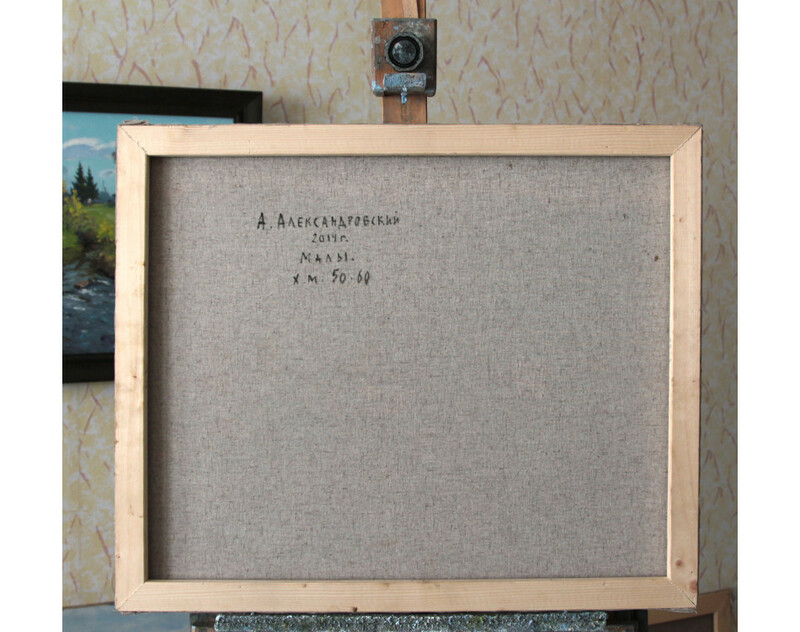 This original Painting ﻿`Forest. Hills. 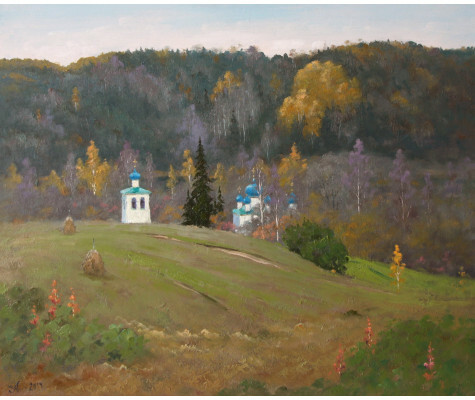 Pechora village` by a Russian artist Alexander ALEXANDROVSKY, is done in oil on canvas. 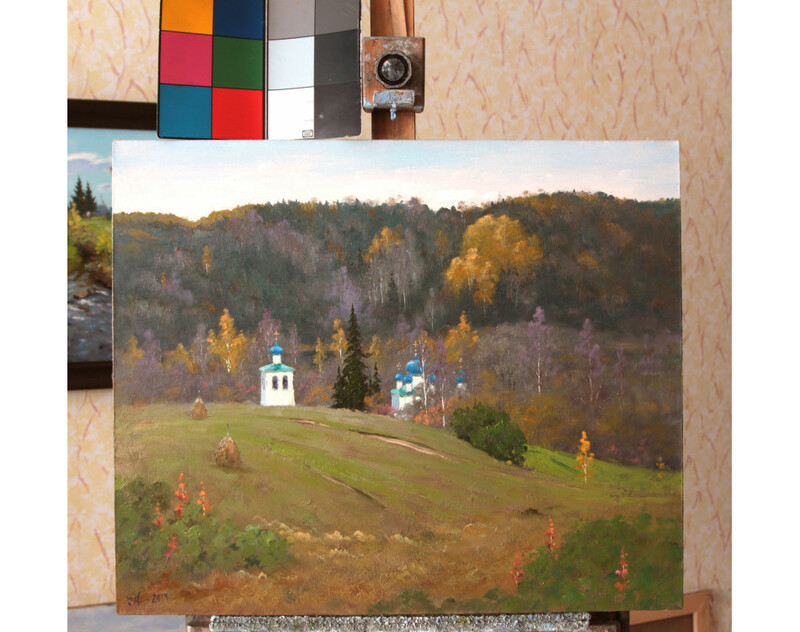 This Landscape was created in Realism style. 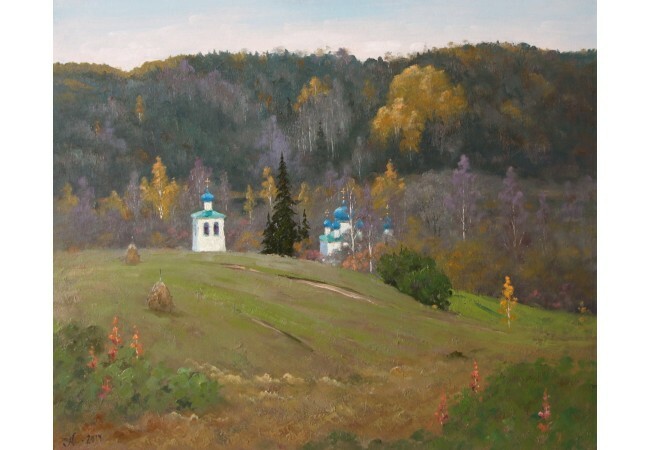 Autumn day in the old Russian village of Maly near Pskov. The hills are covered with dense forests. High dark fir trees and branched birch trees with golden leaves. 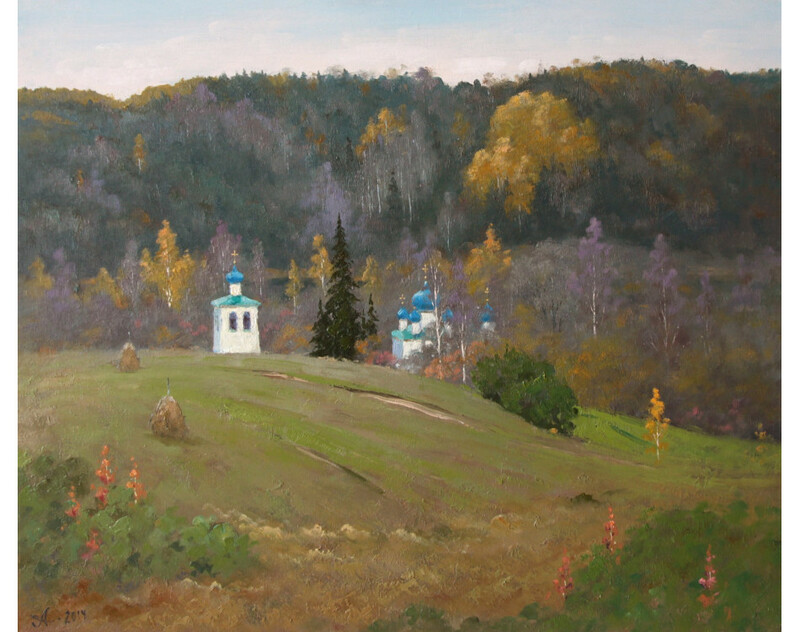 Among the branches is a white-stone church with blue domes. In the foreground of the picture is a hill with mown grass and haystacks. On the hill there is a bell tower at the high century-old fir tree.